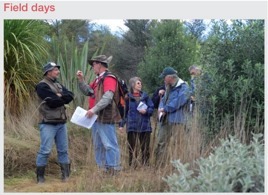 NZ Farm Forestry - What could have been the future of forestry? Hamish Levack, New Zealand Tree Grower November 2015. 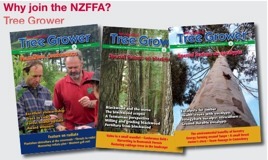 After three decades of market triumphalism we can look through the lens of the forestry sector and contemplate the economic upheavals of the late 1980s and early 1990s and their effect on New Zealand’s forests. If there had been an alternative history, involving careful market intervention as well, would the results have been better, and could this provide pointers to better future government forest policy? New Zealand went through an economic revolution between 1984 and 1999. Many of the reforms benefitted the forestry sector. Feather bedding was removed from the labour and transport sectors, making them much more cost efficient. Interest rates came down and rural land, no longer artificially supported by agricultural subsidies, became cheaper. The introduction of the Resource Management Act meant that it was more difficult for planners arbitrarily to exclude forest establishment from zones that they had previously deemed to be too good for forestry. Timber and wood product prices were allowed to rise to open market levels. The removal of trade barriers and most foreign currency controls meant that the cost of imported machinery was reduced and taxation reforms, more favourable to forestry than before, were introduced. Coincidentally a major log price surge also occurred in the early to mid 1990s. This was partially because of a reduction in the international supply of logs due to the collapse of the Soviet Union, and partially due to the locking up of many North American forests for nature conservation purposes. Mainly it was because owners of mature forests withheld supply while wood prices were rising. Many thought there had been a permanent structural lift in log prices and this resulted in a rush to invest in new planting which lasted in New Zealand until the price bubble burst in about 1996. This is the point when our ‘counterfactual’ scenario unfolds. Let us assume that in 1996, contrary to what really happened, the National Party failed to form a government because NZ First decided to run with Labour and the Alliance instead. Assume also that the Green Party supported this Labour-led coalition, the establishment of enhanced forestry encouragement schemes being part of the deal. The government in this virtual world was keen to support Maori and regional development, the stabilisation of moving hill country, the mitigation of flood and drought damage, the reduction of waterway pollution and the sequestration of carbon. It was also influenced by Wink Sutton’s theory that wood prices would rise because global supply would be unable to match demand for wood in a world where population and wealth were increasing rapidly. As a result, we imagine that these ideas took root, and high levels of new planting were sustained. The strong forestry encouragement policies, which were put in place to ensure this, were continued by subsequent administrations. The result, in our hypothetical world, would have been that the total new planting rate between 1998 and 2013 resulted in an average increase of 39,350 hectares of net stocked forest area per year. This contrasts with reality. In the real world only an average of 16,000 hectares of new planting was achieved each year and substantial harvested areas were not replanted over that time. What would be the costs and benefits of having achieved the 630,000 hectares of ‘extra’ stocked forest area shown in the table? Estimating the cost can only be indicative, and estimating the future direct commercial benefit for the fibre produced and sold will be even less reliable. But, based on some generalised reasonable assumptions, it can be attempted. The most important variable is log price. Contrary to Wink Sutton’s theory, there has not yet been, nor does it now seem likely there will be, an upward paradigm shift in log prices. According to a recent study carried out by the Canterbury University School of Forestry, average return on investment for new planting in New Zealand runs at about five per cent a year. This is not particularly exciting, although it is a far better return on capital than hill country farming. If a rate of interest of seven per cent is used, then by 2015 it is estimated very approximately that the ‘extra’ new planting would have had a compounded cost of about $4,000 million and expected discounted net commercial income would be $2,200 million, generating a negative present net value of $1,800 million. What about off-site environmental benefits? Once again we can only make indicative estimates for what the environmental benefits may have been in this alternative world. However, Scion has made impressive strides recently in the quantification of the ecosystem benefits of plantation forestry. The table below is from a 2014 report on ecosystem services in the Bay of Plenty’s Ohiwa catchment. It demonstrates a large positive ecosystem service value from exotic forestry of $5,609 a hectare each year. If this figure was applied across the 630,000 hectares of hypothetical new planting, it would have added $3,500 million a year, implying a large overall return. Capitalised at seven per cent a year, it points towards a land value for exotic forest of $80,000 a hectare – as expensive as the best dairy country. New Zealand would have earned billions of dollars in environmental benefits. The imaginary scenario would have generated substantial further nett benefits which are hard to quantify. The next graph indicates future wood flow differences between the actual and hypothetical scenarios. Under the actual scenario, the real world we live in, the graph of New Zealand’s current wood harvest is about 25 million cubic metres a year. This is based on owners harvesting their pine trees at 28 years, which is the rotation of maximum theoretical profitability. This cut is forecast to increase only a little until about 2022 but then leap to nearly 60 million cubic metres a year by 2024, and then collapse to less than 30 million cubic metres a year by 2030. Because of infrastructural bottlenecks, skill shortages and swamped markets, industry will not be able to cope, but even if only a significant proportion of this spike in harvesting occurs in reality it will depress profits considerably. Other disadvantages will be a loss of opportunity to attract investment in local timber processing, a blow-out in the government’s greenhouse gas budget, and social disruption. Conversely, the counterfactual yield would have gone a long way towards solving all these problems. The counterfactual or hypothetical history would have meant that New Zealand could have looked forward to a sustainable harvest almost twice the current level by the early 2020s. Such a sustainable doubling of the cut would have generated substantial economies of scale and attract a much higher level of investment in domestic wood processing, more jobs, more regional development, more energy security by virtue of the increased potential levels of bioenergy, and a major contribution towards New Zealand greenhouse gas emissions target. At the same time it would have reduced the pressure on urban housing and infrastructure. The wood which forms the spike in the real world is harvested in a coordinated way, so that some is cut earlier than 28 years, and some later. However, the current government is uninterested in facilitating this, and dissuaded by insufficient commercial profitability, the private sector will not be making significant investments in new planting. Distortions due to government policy which favours agriculture mean that land suitable for forestry is unavailable at a price which would generate an adequate commercial return. These distortions include the lack of a capital gains tax, inequitable nitrogen leachate allowances from land around Lake Taupo, and carbon penalties applied to forest owners should they wish to convert to another land use in the future. Some organisations, which have planted steep land forests, including those encouraged by an East Coast Forest Grant, now find that the conditions attached to consents to cut down their trees are too stringent to harvest at a profit. In addition, most people who have accumulated sufficient funds, do not expect to live long enough to see a new planting investment reach maturity. Current tax laws mean that they cannot convert immature stands to cash at a reasonable value because transferring ownership of standing trees requires the income to be declared as a sale. This of course incurs tax, but the new owner cannot deduct the cost of purchase against other income until the trees are harvested.This discourages forest aggregation and optimal harvest scheduling. The public benefit of afforestation is not adequately recognised or paid for. The alternative hypothetical history has shown that the greater benefit from afforestation is to the public off-site, not the land owner. This justifies at least some payment for ecosystem services. This could be achieved via planting grants, loans or direct government investment in afforestation. Supporting the wider measurement and trading of ecosystem services such as carbon sequestration and nitrogen run-off. Two years ago the Wood Council of New Zealand estimated that the forestry industry has the potential to contribute $6 billion dollars more to the economy each year by the early 2020s, as well as reducing the environmental footprint. This can still be achieved while making adequate profit. However, it will not happen unless the government works much more proactively with the forest industry and ensures that forest owners are fairly paid for the off-site benefits that they contribute to society. The solution is political, and it is up to us as forest owners to get the message across to our Members of Parliament of all political parties. This is problematic while we have a Climate Change Minister who continues to be confused about the difference between replanting and new planting, a Minister responsible for forestry who is not in Cabinet, and the department responsible for forestry not even having the word forestry in its name, nor any mention of forestry in the opening menu of its website.